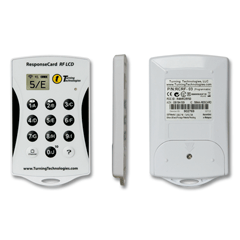 Our “plug & play” USB RF Receiver makes setup simple. No driver installation allows for easy implementation. 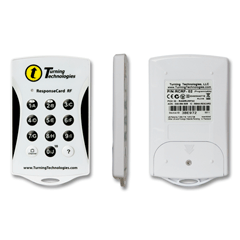 Our “plug & play” USB RF Receiver makes setup simple. No driver installation allows for easy implementation. 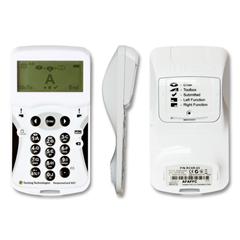 The radio frequency technology allows for a 200 foot range and does not need a “line of sight” with the ResponseCard keypads. 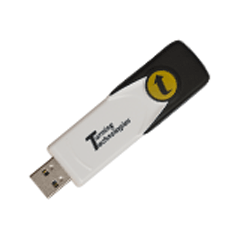 The approximate size of a thumb drive, it doesn’t require the hassle of cables and is easy to transport from room to room or class to class. Collect up to 1000 responses. 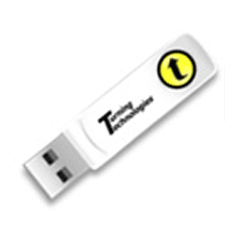 For use with TurningPoint assessment software and ResponseCard RF, ResponseCard RF LCD and ResponseCard NXT clickers.